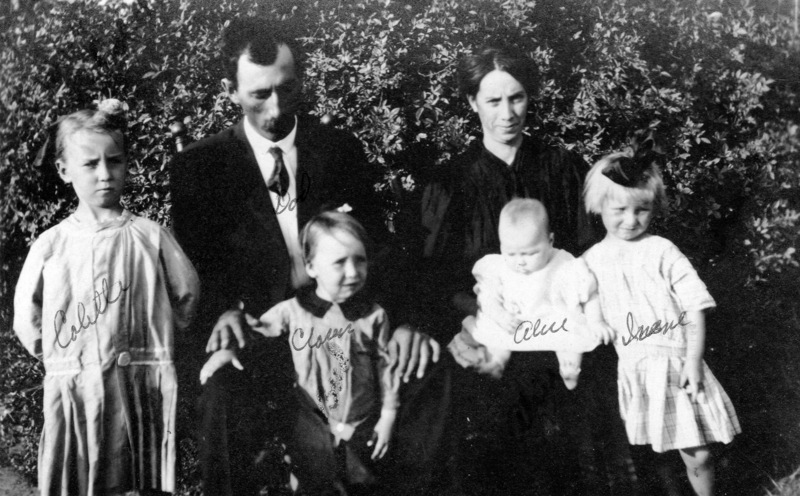 Uncle Clarence ("Bud") was born 10 Oct 1910 in Princeton, Gibson County, Indiana. 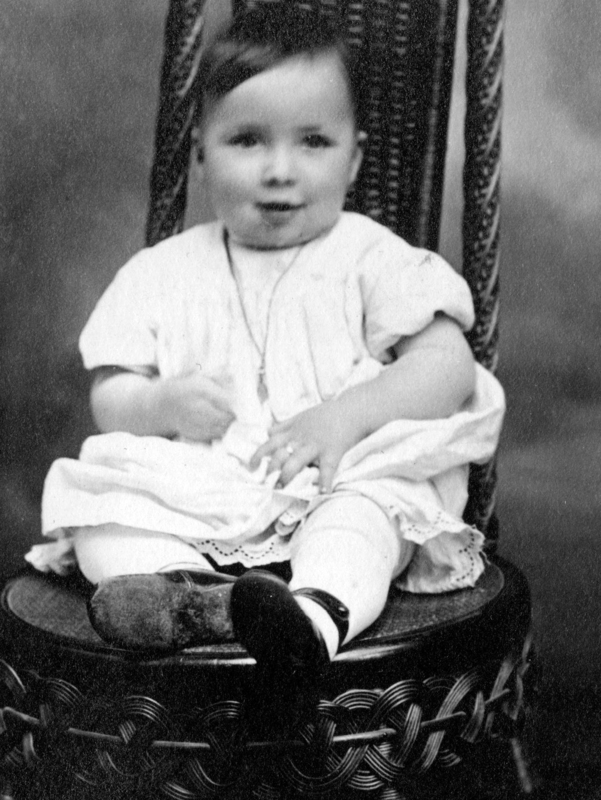 He was the first-born son of Claude and Mayme Greek. 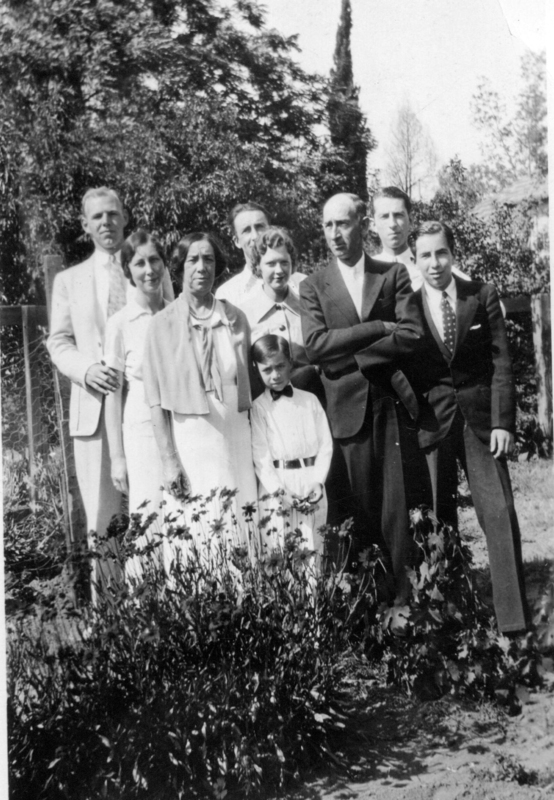 He, with his parents and sisters, Carletta (Colette) and Irene moved to Highgrove, Riverside, CA, on 11 Oct 1911. Bud dropped out of high school after 2 years probably to work with his Dad in the orange groves in Highgrove. 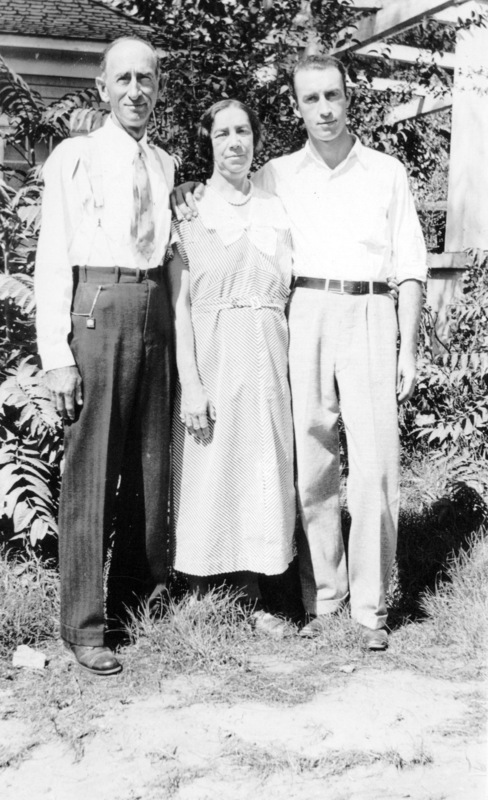 In 1930 , he married Verda Liles, a neighbor girl who was 17 at the time. 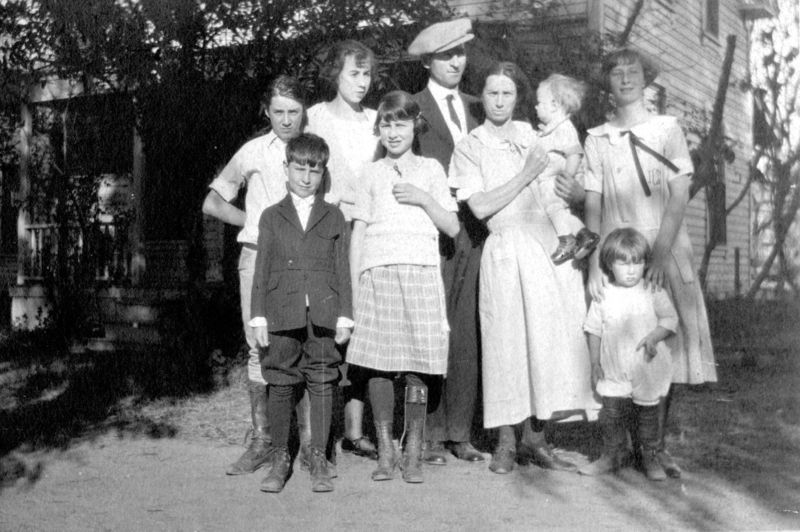 By 1940 Bud was working as a miner at the Portland Cement plant in Colton, CA. 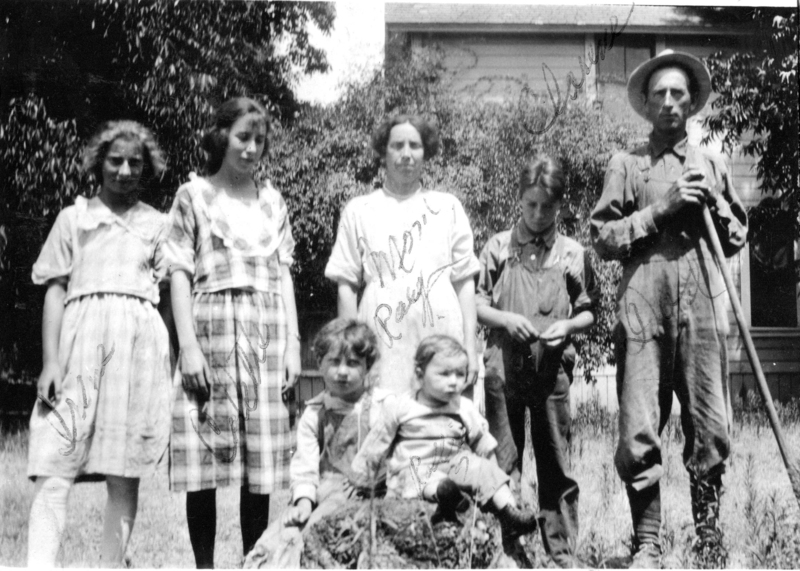 Verda, known as "Babe", was doing part-time work as a packer in an Olive Packing plant in Riverside. 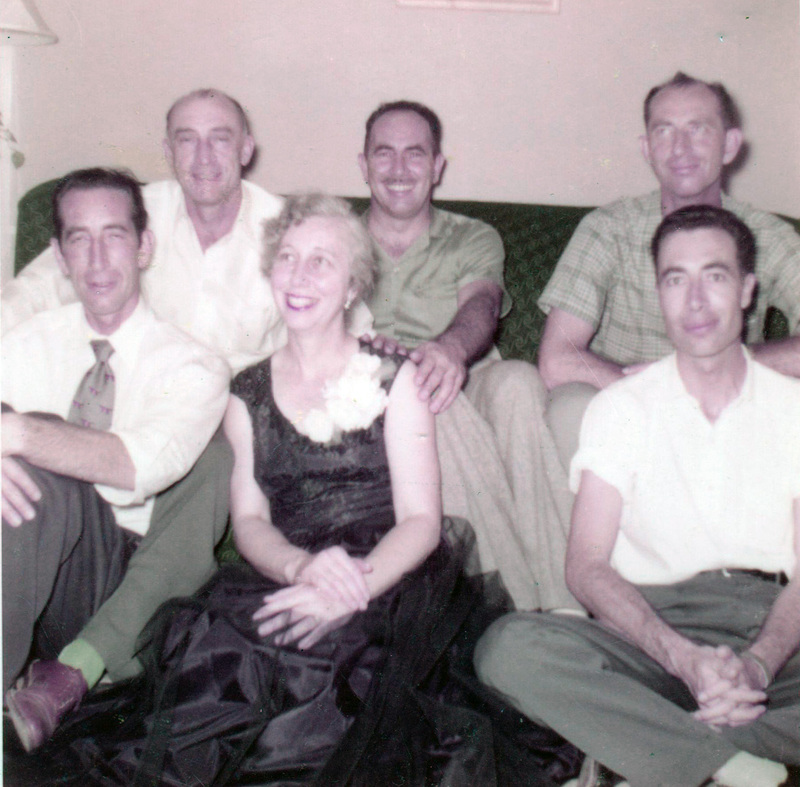 When World War II started, Bud, like his younger brothers joined the US Navy. He served in the Pacific attaining the rank of Electricians Mate 2nd class. He was part of the invasion fleet that was steaming toward Japan when the atomic bombs convinced the Japanese to surrender. 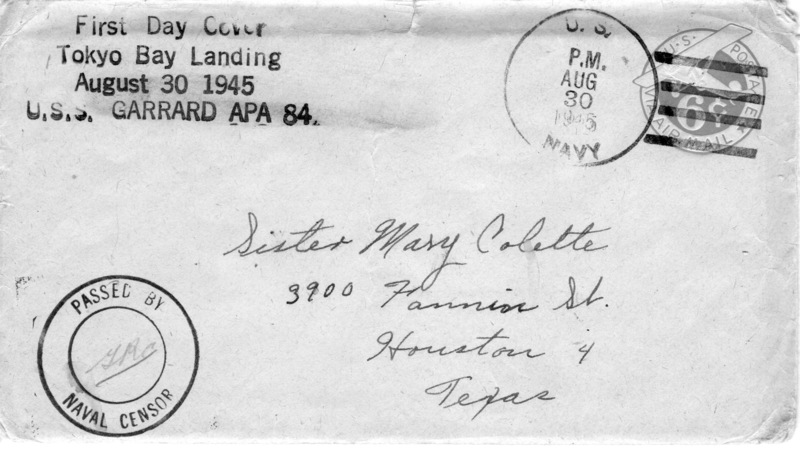 He wrote a letter to Sister Colette describing his feelings at arriving in Tokyo Bay on August 30, 1945 onboard the USS Garrard as part of the large and victorious 3rd Fleet. 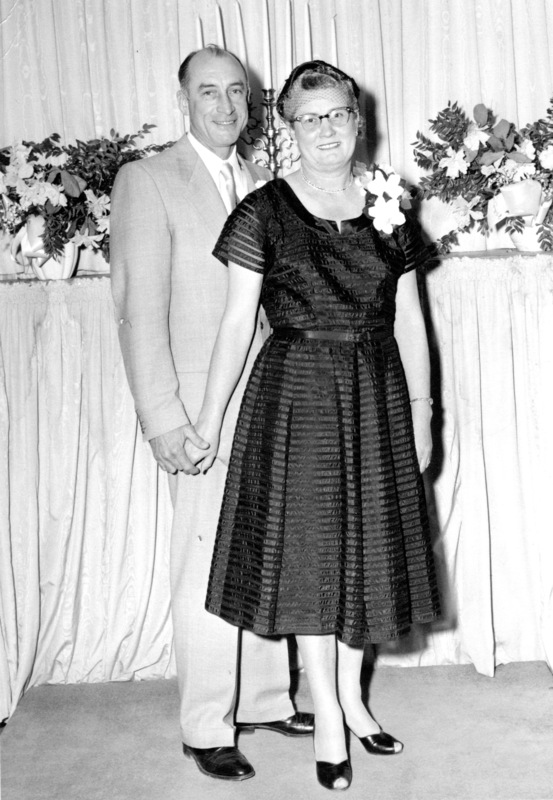 During the war, Verda served as a WAC, a member of the Womens Army Corp.
After the war, Bud worked as an electrician at the Portland Cement Company in Colton, CA, where he stayed until his retirement in 1973. Verda passed away in Dec 1953, at the age of 39. 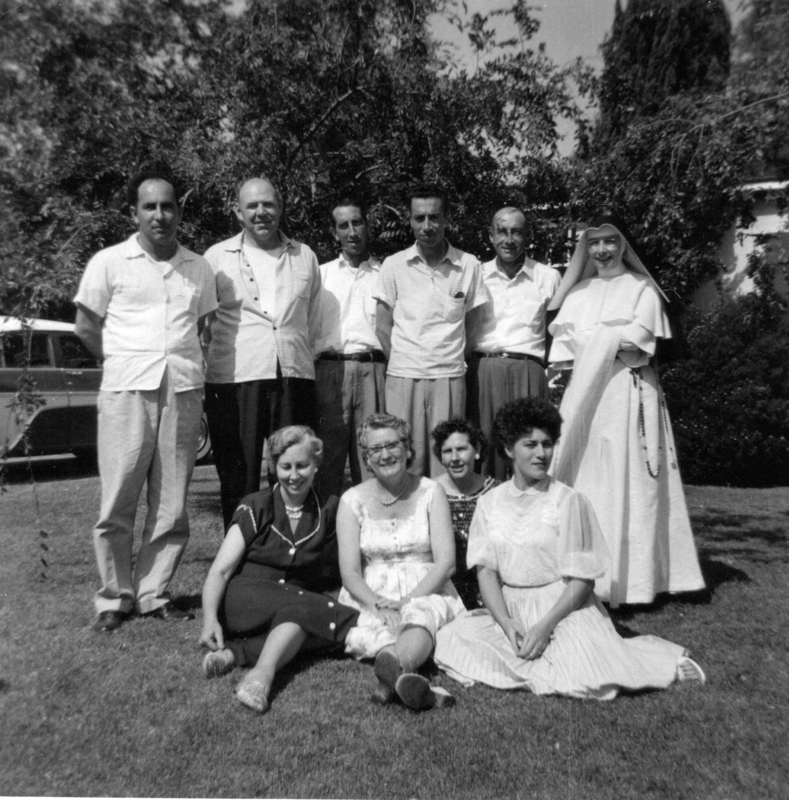 A few years later Bud married his second wife, Emma Schaffer (1955). 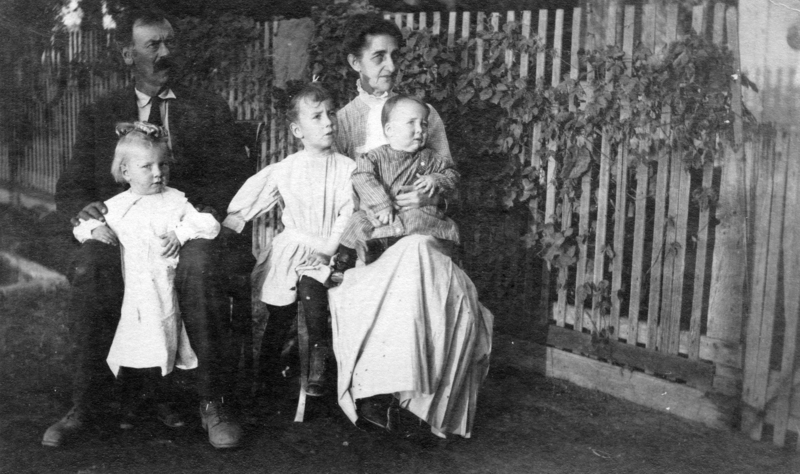 Though he had no children by either marriage he was greatly loved by Emma's daughters Leona and Betty and was a loving grandfather to their children. 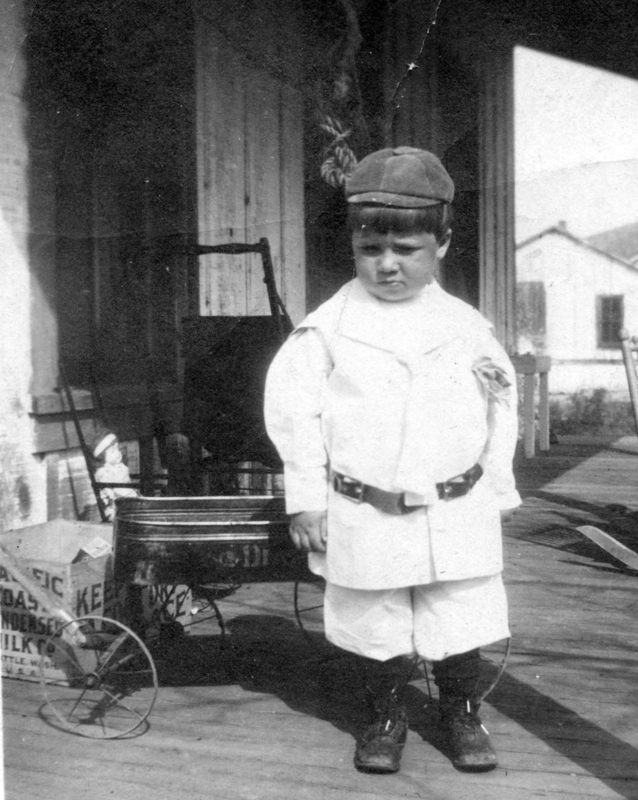 Bud died in Riverside, CA, on 2 Jan 1988. He is buried in the Riverside National Cemetery (plot 19A, 3835). 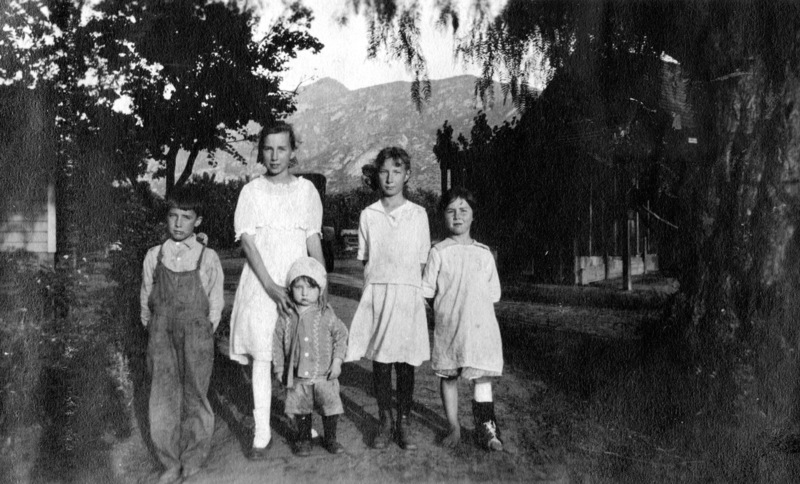 Clarence with sisters Irene (L) and Colette (R) and Grandparents, John Henry and Mary Elizabeth Greek, in Moreno, Riverside, CA. Circa Oct 1911. 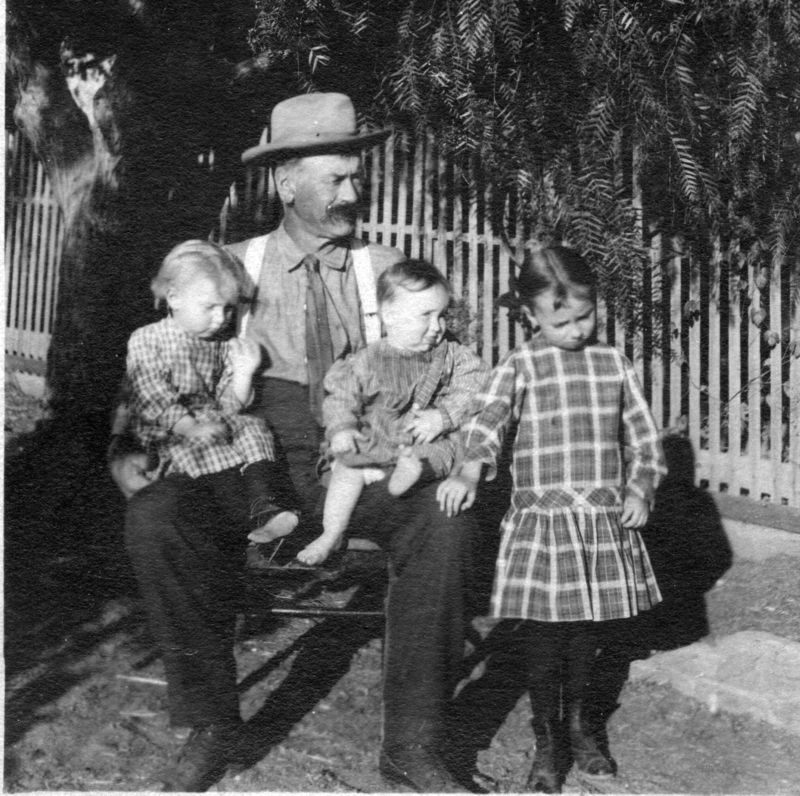 Clarence with sisters Irene (L) and Colette (R) and Grandfather, John Henry Greek, in Moreno, Riverside, CA. Early 1912. 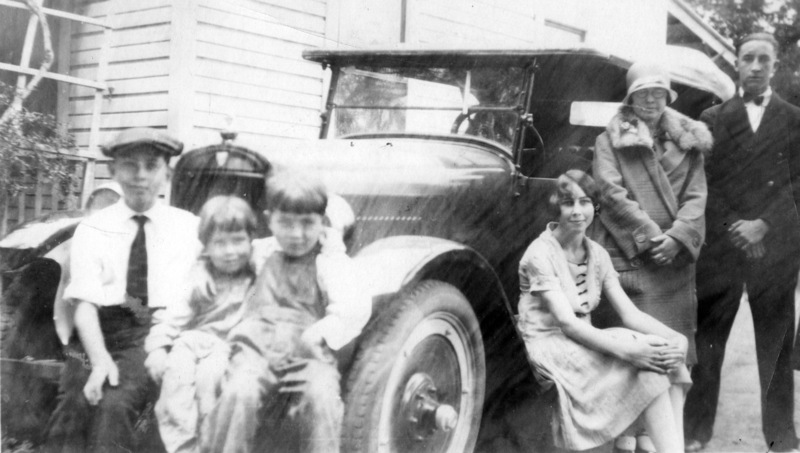 Clarence with his wagon. Circa 1913. 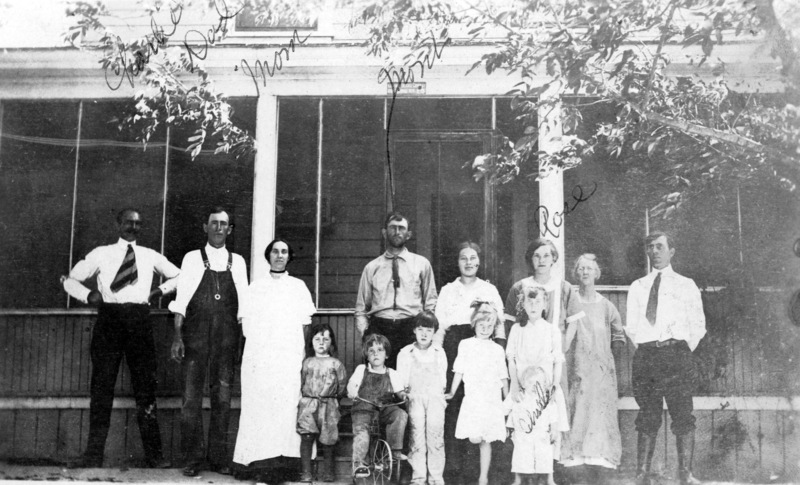 The 1920 Federal Census shows the family's address as "Sunny Mountain Road" in Highgrove. But the Greek children referred to the "mountain" behind the orange groves of the ranch as "Sugar Loaf". 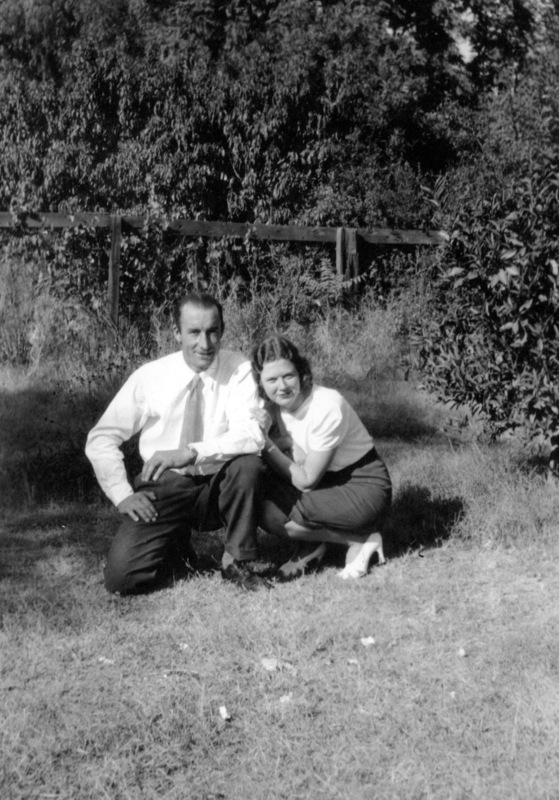 Alice, who at the time, wore a leg brace because of her polio, told stories about how Clarence would help her clamber up Sugar Loaf with her leg brace to enjoy the view from the top. This is what they saw. 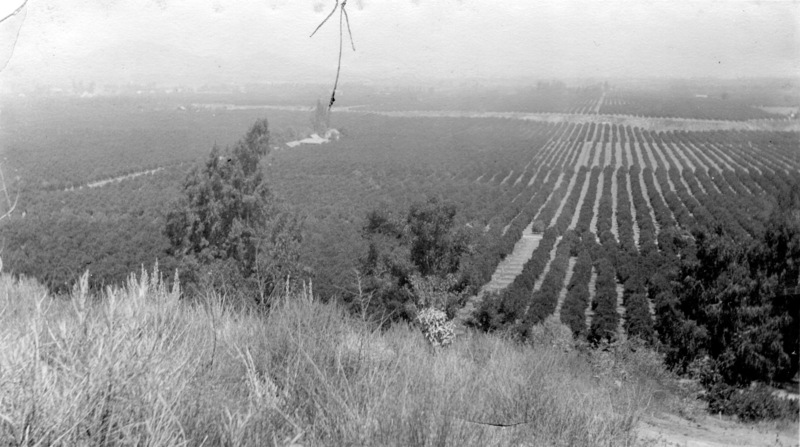 The view from "Sugar Loaf mountain" of the orange groves and ranch house in Highgrove where the Greek family lived from 1912 to about 1922. 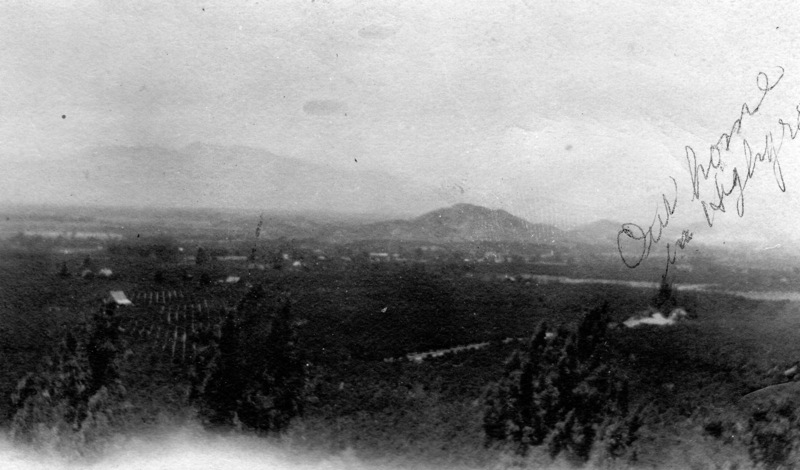 The hill in the mid-distance in the photograph on the left is Mt Slover, the site of the Portland Cement plant in Colton, where Clarence would spend his entire working life. The mountains in the distance to the left are the San Gabriel Mountains. 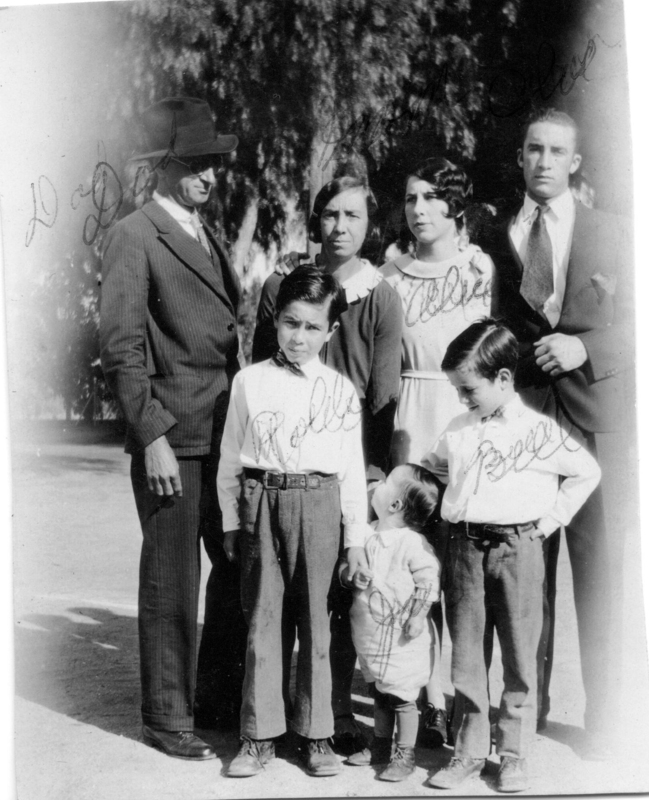 The Greek children circa 1916. 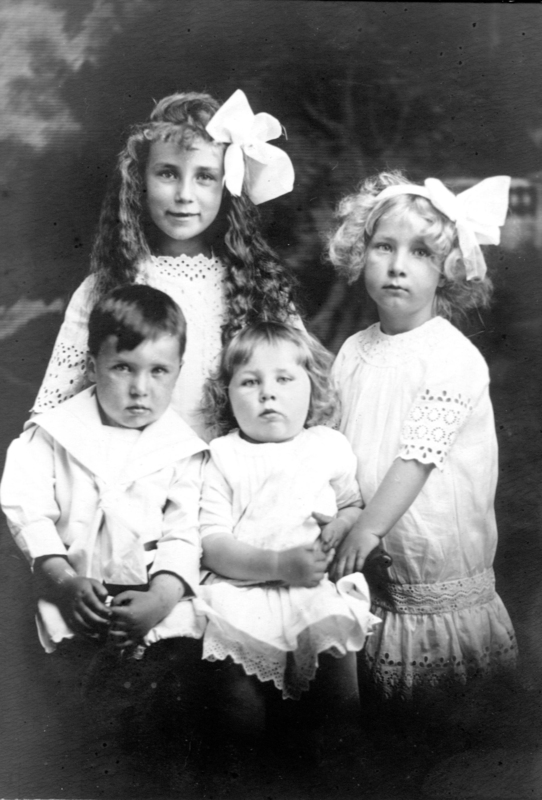 L to R: Irene, Clarence, Alice, Colette. 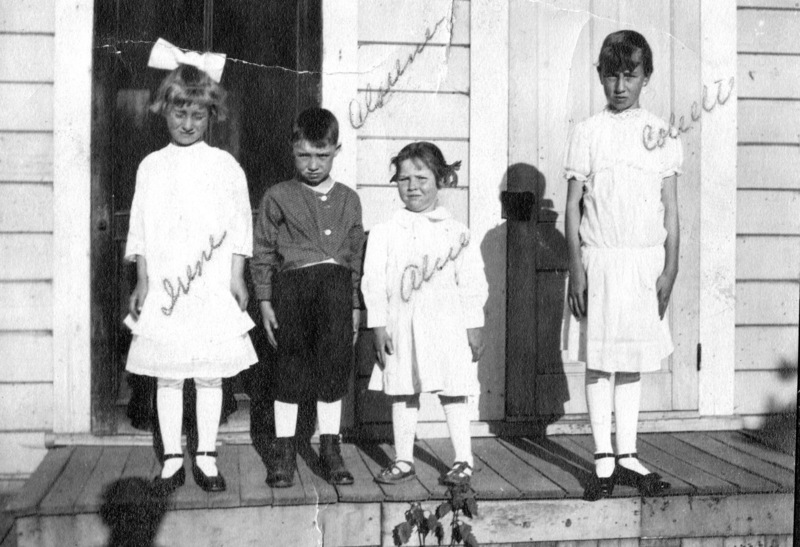 L to R:Ray, Bill, Rolly Alice, Friend (Mary Walker), Clarence. .
Alice and Clarence at Newport Beach circa 1930. 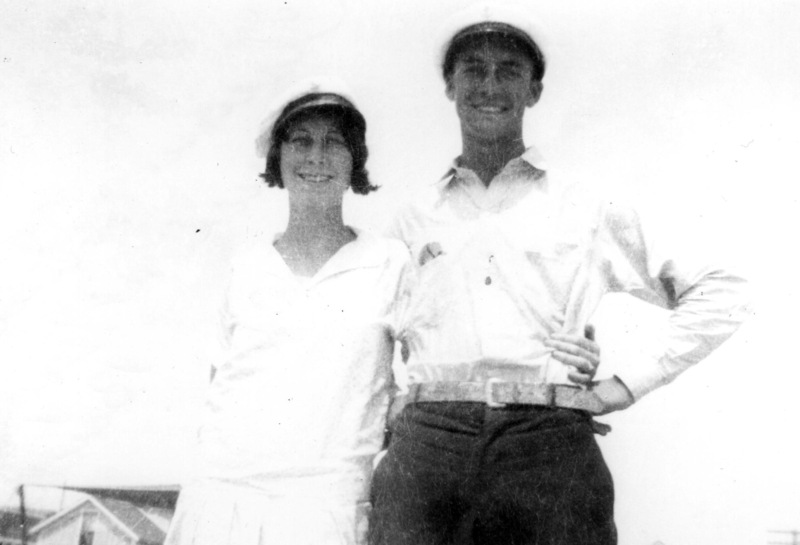 Clarence and first wife Verda circa 1930. 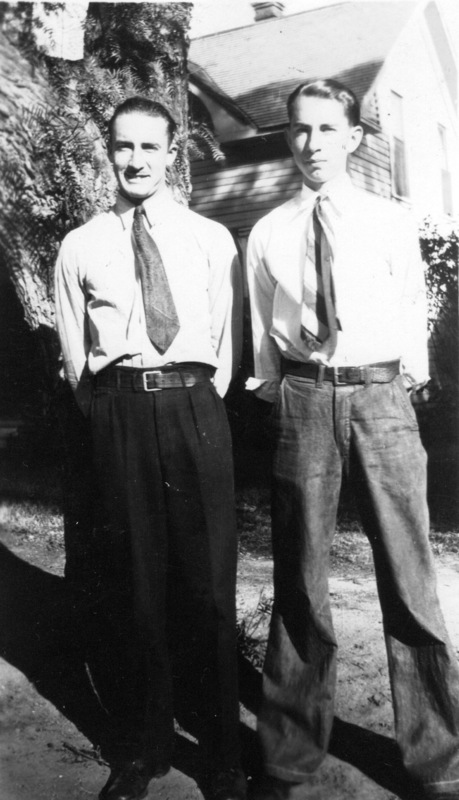 Clarence and Ray circa 1931. 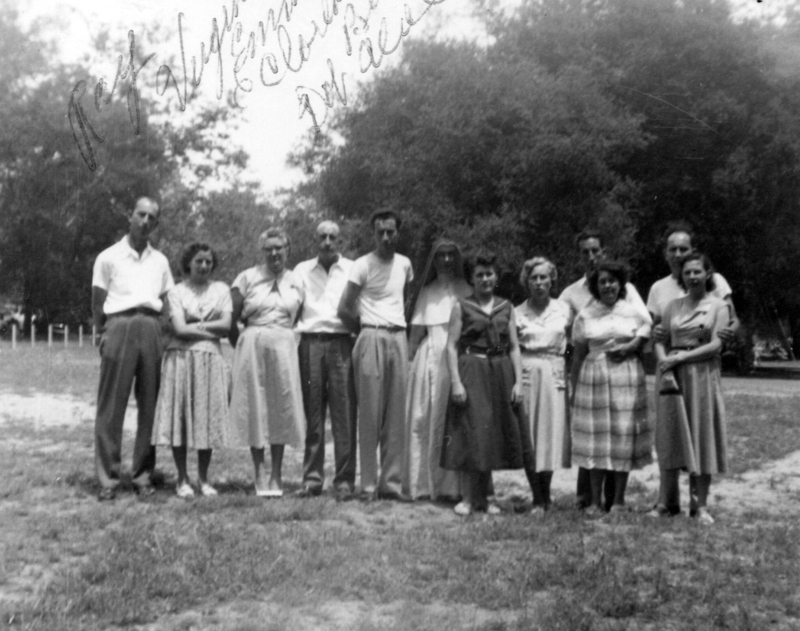 L to R: Gene Hill, Alice, Mayme, Clarence, Verda, Jack, Claude, Ray, Rolly. 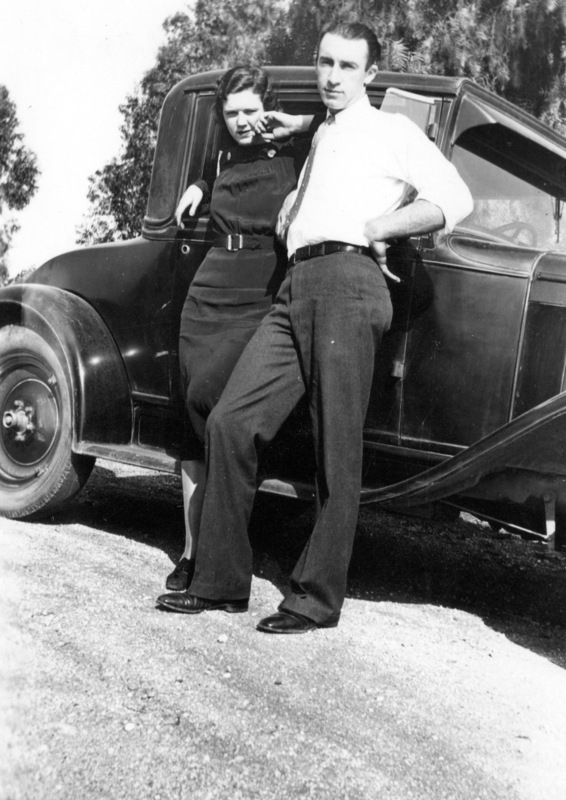 Clarence and Alice circa 1935. Claude, Mayme and Clarence circa 1935. 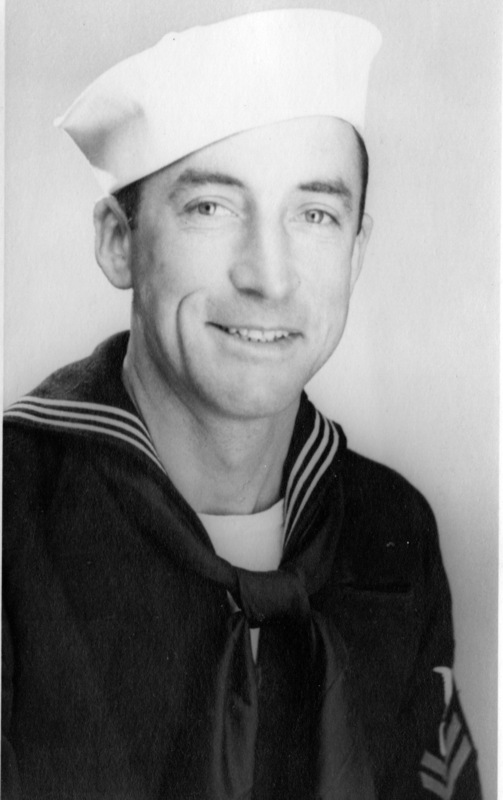 Clarence J. Greek, EM 2/c USN. Circa 1943. Clarence's letter from Tokyo Bay. August 30, 1945. 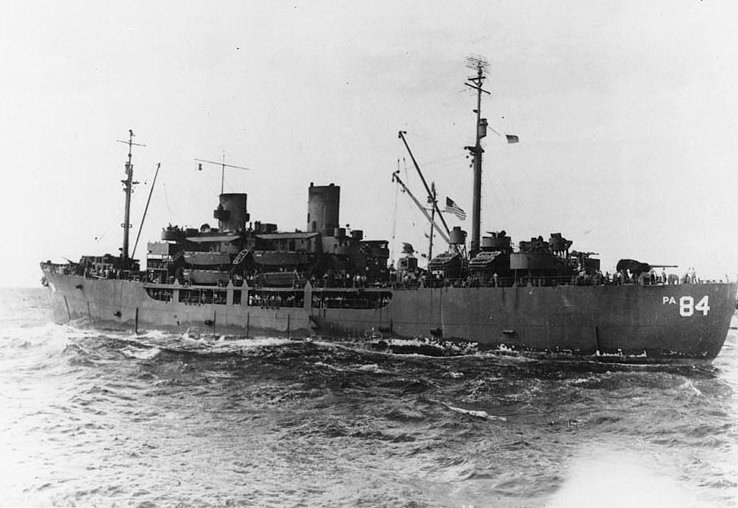 The attack transport ship the USS Garrard, July 1945. 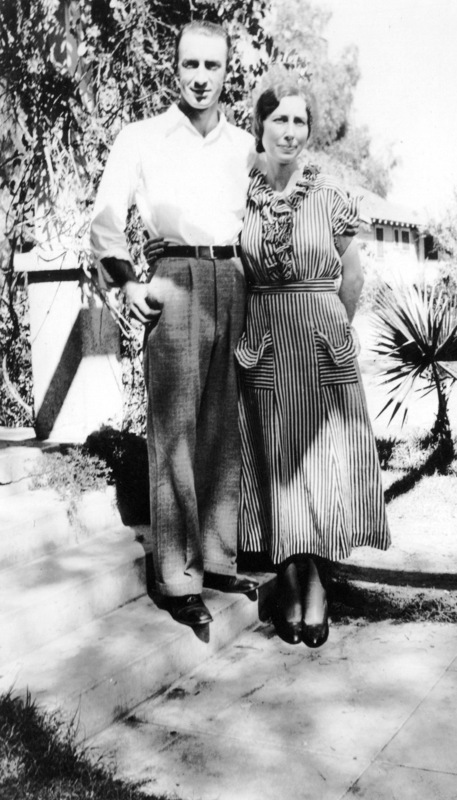 Clarence with 2nd wife Emma, 1955. 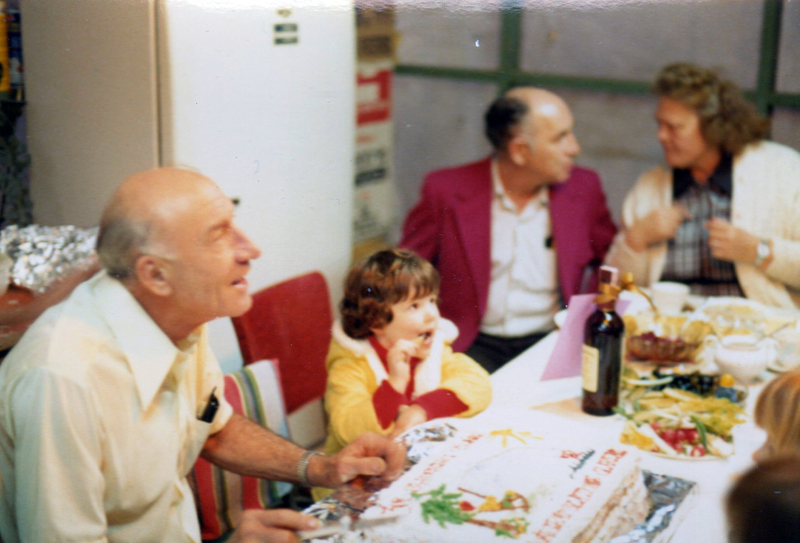 Clarence's retirement party 1973. With brother Rolly talking to Jack's wife, Lee Greek. The little girl is Jennifer Hill, Richard and Judy's daughter.